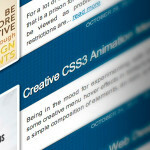 As a designer, sometimes it becomes a hassle to check your designs in all browsers. 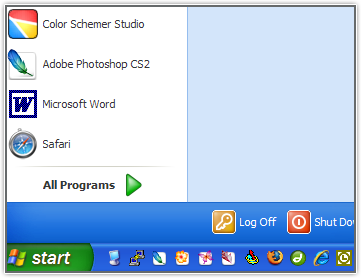 If you happen to be on your Windows machine, IE, Firefox and Opera are easy enough. For viewing in Safari, you have to fire up your Mac. That is until now. 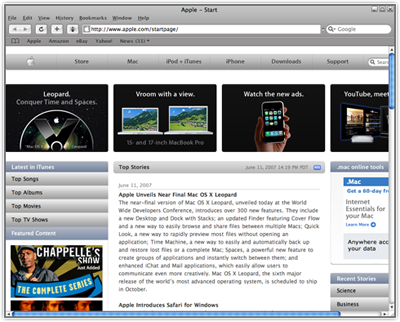 Apple has done something to help those of you who don’t own a Mac, they have released Safari 3 for Windows. Although its still officially a beta, I found the installation ran smoothly as did the browser. Download it here and give it a try. And don’t forget the plugins. If you are on your Mac, well, you still have no way checking of IE. Not that you care, but you should since it still is the most used browser. Now if Adobe would just allow you to install your one copy of CS on one Windows machine AND one Mac, life would be sweet. This is great news! Our only alternative previously was to buy a mac.. Safari for Windows will be far more practical. I’ve installed it and crashed in the first minute. It looks nice but for now it’s just not reliable. I haven’t experienced that as of yet. I have been running it all day, and seems to run well. Though with windows, your results may vary. I’ve had it installed on the day of it’s release. I can say it’s a bit faster than Firefox but I hink Firefox is more reliable right now. Safari 3 for Windows has still problems rendering the correct font.